After weeks of speculation, The Telegraph reports that Apple Pay will be available today in the UK. The UK is the second country to support Apple Pay, following the initial launch in the United States in late October 2014. Earlier today, several users on Twitter began noticing Apple Pay setup screens on their iPhones, suggesting that Apple was getting ready to roll out the service. Eight financial institutions in the UK are supporting Apple Pay at launch, including HSBC and Royal Bank of Scotland – two of the "big four banks" in the UK. Other participating banks include American Express, First Direct, Nationwide, Natwest, Santander, and Ulster Bank. The other two banks in the "big four" are Lloyds Bank, which will support Apple Pay "in the autumn" and Barclays. Some of the other banks that are expected to support Apple Pay later this year are Bank of Scotland, Halifax, M&S Bank, MBNA, and TSB. You can view Apple's full list of participating financial institutions here. Apple says that Apple Pay is accepted at 250,000 shops across the UK. You'll be able pay with Apple Pay wherever you see an Apple Pay or Contactless Card logo. At launch this will include Apple Retail Stores, BP, Dune, Liberty London, Nando's, New Look, Subway, Transport for London and many other retailers. You can view Apple's full list of participating retailers here. If your bank supports Apple Pay (see above) the first step is to open Passbook on your iPhone. Tap the + button in the upper-right corner and select "Add Credit or Debit Card" and you'll be prompted to use the camera to capture the card information. You may be required to provide some additional information for bank verification purposes, but that should be it. If you have an iPhone 6, iPhone 6 Plus or an Apple Watch, you can use Apple Pay in shops that support Apple Pay or contactless cards. If you're using an iPhone you just need to hold it near the contactless terminal and place your finger on the Touch ID button. If you're using an Apple Watch you just need to hold the Watch near the contactless terminal and double click the side button to pay. You can also use Apple Pay in apps if you have an iPhone 6, iPhone 6 Plus, iPad Air 2, or iPad mini 3. If an app supports Apple Pay you'll be able to pay just by pressing the Apple Pay button in the app and verifying the purchase with Touch ID. 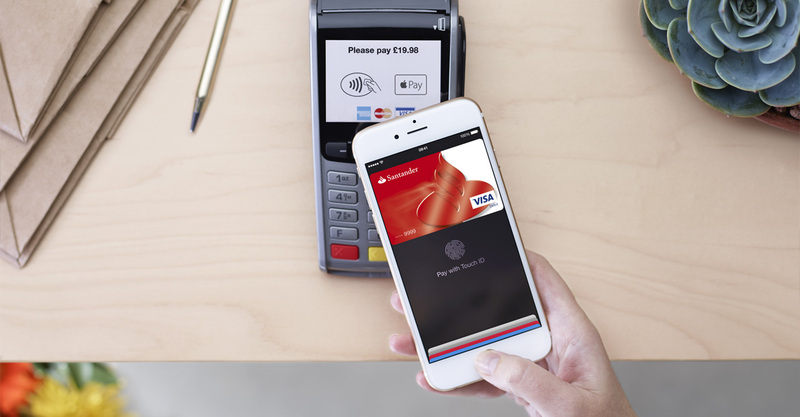 Apps such as British Airways, Dominos, Topshop and Zara support Apple Pay in their apps. If you need further information about how to set up and use Apple Pay you can view this Apple Support article.